Kebbi State hosts Lagos Governor and other investors following the collaboration of both states in agricultural production. 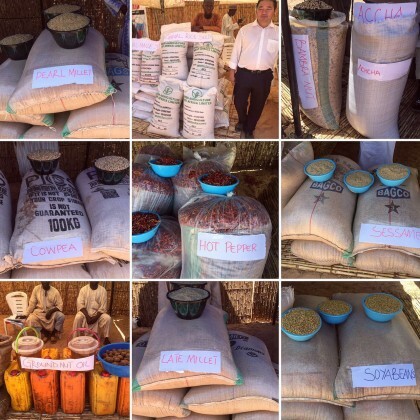 The Kebbi State Government has seen a massive influx of agricultural activities in the state. The state is tapping into the potential of building its economy with agriculture as the focus. 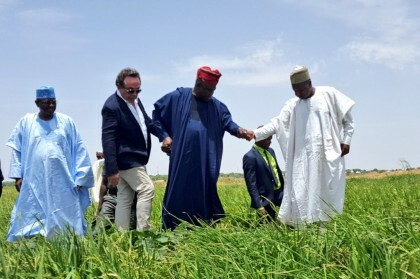 In the last one year, the Executive Governor Abubakar Atiku Bagudu has received investors both local and international, dignitaries and officials of different agricultural backgrounds in the State. Governor Bagudu has expressed his commitment towards conducive environment for investors with the people of Kebbi’s interest at heart. This weekend was no different. In the States efforts to foster collaborations and support for agriculture across the nation, Kebbi hosted a technical committee from 7 Northwest states for an Intensive Workshop on Agriculture between the 3rd and 5th June. The ARDP under auspices of North West Governors Forum organized the workshop and delegates included commissioners, special assistants, Permanent Secretaries and Directors of Agriculture from the NW Zone. The Anchor borrowers scheme launched by President Muhammadu Buhari in Kebbi last November empowered over 75,000 farmers during the dry season farming and the resounding success is visible for all to see. Other Agro states are set to benefit from the scheme and are one of the aims of the workshop holding in Kebbi this weekend. Governor Akinwunmi Ambode of Lagos also visited Kebbi on Saturday to further cement the Lagos-Kebbi Joint Agricultural Development partnership (LASKEB) that focuses on commodity exchange, job creation & value chains. He had courtesy visits to the Government House and the palaces of HRH Emir of Gwandu and Emir of Argungu. He also inspected the Labana Rice Mills and a mini-agric show. 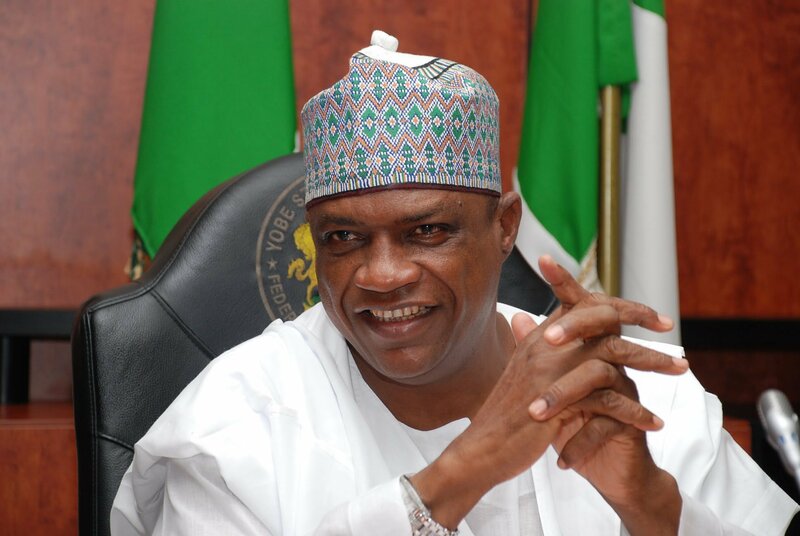 The State Government recently appointed Usman Aliyu Dangaladima as pioneer Co-ordinator of the Partnership. Governor Ambodes team spent three days in Kebbi touring farms, facilities, production and processing hubs within the State. The team comprised of Lagos State Commissioner for Agriculture, Mr. Toyin Suarau, Perm Sec. Agriculture, SA Food Security and the States Legal Adviser. Lagos and Kebbi had earlier signed in Lagos the Memorandum of Understanding (MoU) in March, 2016 with Royal fathers, Cabinet members and members of the State House of Assembly present. Governor Ambode said this during his courtesy visit ‘This relationship is visionary and it is also a pointer to the fact that the two states have decided to openly support the vision of Mr. President, Muhammadu Buhari. The change mantra that President Buhari has been preaching is what this whole relationship is all about. We must look inward. We must start to reintegrate our economy in such a manner that we must not continue to import what we can produce and we must create a value chain where we have comparative advantage to do so”. With Lagos a major consumer of Agricultural products and Kebbi a major producer, the innovative partnership is sure to support both states. The State has also seen visits by the Minister of Agriculture, Chief Audu Ogbeh and the Governor of the Central Bank of Nigeria, Godwin Emefiele who have both attested to the commitment of the State and the Governor in boosting the agricultural economy. The state is committed to changing farming from a seasonal activity to an all year round one. 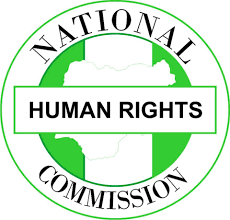 Billions are expected as internally generated revenue with a creation of direct and indirect jobs for thousands of indigenes in Kebbi State and Nigeria as a whole.